We really were hungry by the end of this lesson! Making paper sculptures based on the whimsical work of Claes Oldenberg. 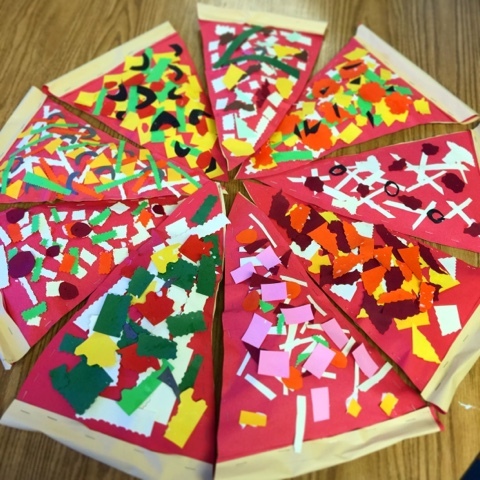 We cut, stapled, glued, and stuffed giant pizza slices out of construction paper. We put them all together to make one GIANT pizza! 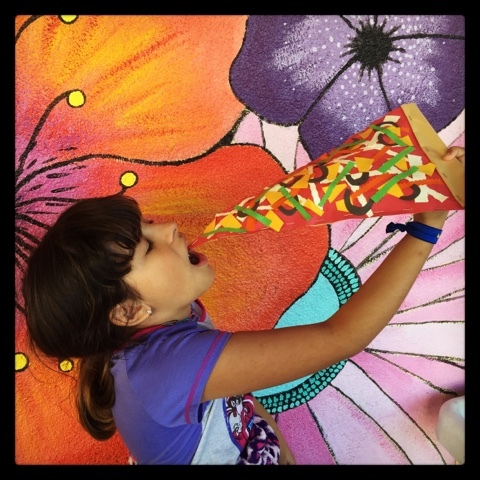 Really cute project, but they wanted real pizza when it was over! Ha!